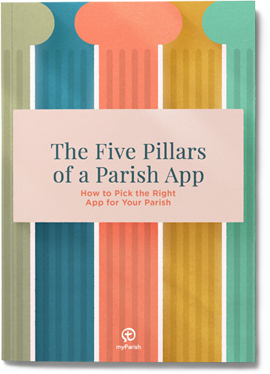 Remind your parishioners frequently about myParish App. Now that you’ve got myParish App up and running, you can just sit back and watch your Analytics improve, right? Sadly, no. We humans are a forgetful bunch. You’ve launched myParish App, you’ve had Download Sunday … and there are still lots of parishioners who don’t know about the App. How can you improve this? Make myParish a presence at parish events and/or group gatherings. Doing just one or two of these will help in the long run. Remember, myParish App – with just a few minutes of your time each week – will help keep your parishioners informed and connected to their faith.